John Deere Company Information Is this your company? Add your own content to this page. 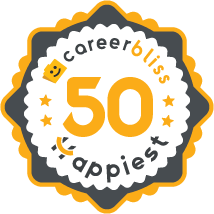 We've calculated that the average salary at John Deere is $60K based on 602 user-submitted salaries A total of 97 John Deere employees gave John Deere an average happiness rating of 3.8 out of 5.0. 30 Manufacturing Engineers from John Deere submitted salaries. 1.5 The Business Unit Manager needs to hold its salary team accountable for thier actions. No action means no productivity. Dont just trust your salary worker because they are salary. We are all supose to work together not fight eachother. Alittle give and take gets things done! Top management is capable and competent but must stop listening to subordinate leaders who have only excuses for many missed timelines and a design that fails to meet the company product goals. Introduce a seconday developer to deliver a visual simulation the supports the existing embedded code design and get error plots that everyone else has moved to using in the last 30 years. 3.9 I've worked at John Deere since July 30, 2012 and has been a very good experience and full of knowledge and the opportunity to developed new skills. This company its committed to the employees and also social responsible encouraging their people to be better persons, its a strong company with good ethical values all over the world.